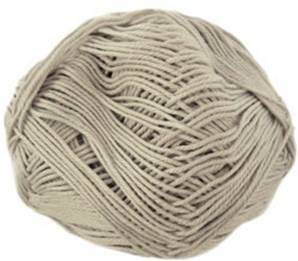 Wendy Supreme lustrous mercerised Cotton DK knitting yarn 1945 in a pale silver grey shade. 100% pure mercerised cotton with a lustrous sheen. Use for any DK pattern. 100g, 201m per ball.